I am honored that so many people – friends and friends of friends – reach out to me for guidance with selecting a new bike. More commonly now I don’t really know the person I am speaking with, so I always start with a few questions to size them up. How much do you plan to spend? Anyone answering with, “how much do I have to spend?” or “I don’t really know if I will ride or not” begets the internal scoff and will receive a bit of a lecture about having the wrong stuff guarantees that you won’t like it. The minimum you can spend is $650 + shorts, shoes, water bottles and a helmet = $1,000. Wrap your head around that and call me back if you are serious. Sometimes I get the used bike question. I do know people who have bought used bikes that worked and just happened to fit and not make their asses or their hands hurt. This is sort of a miracle and at best a lottery. It is so difficult to find a used bike that fits and to do so you may need to fix something, or change the seat or pay for a $65 bike fit, which comes free with a new bike. You really need to know what you are doing for a used bike to work out. 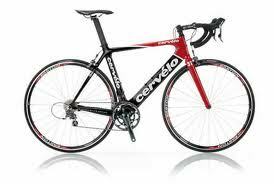 It is generally better to borrow one until you come to love cycling as much as I do … and you will. Then you will have to spend a LOT to be happy. It is very important that the bike fit you. Asses hurt from poor fitting bikes and, generally speaking, not the saddle. Also, real bike shorts, with the chamois, worn WITHOUT underwear, are a must. Again, the more you spend the better they generally are to a point. If the bike seeker is deemed serious, we move on… Think of a bike as a frame, components, and wheels. some manufacturers start with a great frame and less expensive parts or vice versa. I always say, get the best frame you can afford. The more carbon fiber the better. The drive train, wheels and other parts can all be upgraded later. All of these parts become lighter and more efficient with price. But, there is a law of diminishing return beyond which is sort of a foolish investment (which is exactly one step away from what I currently have). Then I usually guide the would-be cyclist to a reputable bike shop who sells bikes I like in their price range. I also steer them away from bike shops run by people who have pissed me off. Hey, it is hard to piss Todd off, but he has a VERY good memory. For lunch, or if the person is unusually serious, I will go with them and help them get started. Cid Cardoso, Jr. (owner of Inside-Out Sports) and I created these videos which we hope will help. Please feel free to share this article and my contact information with your friends and friends of friends. I will be glad to do what I can.